Rick Rubin net worth: Rick Rubin is an American music producer who has a net worth of $250 million. 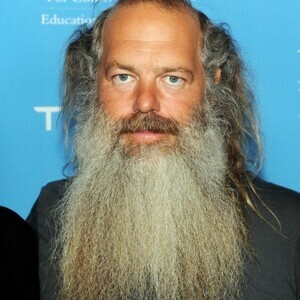 Rick Rubin was born in Long Beach, New York on March 10, 1963. While in high school, Rick Rubin started a punk rock band called the Pricks whose biggest claim to fame was being kicked off CBGB's stage after playing just two songs. Rick Rubin is considered one of the best producers working in American music today. 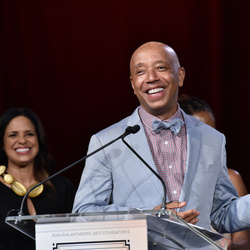 He is the former co-president of Columbia Records and founded Def Jam Records with Russell Simmons. Together, Simmons and Rubin revolutionized the music industry and helped launch the hip-hop musical genre and cultural movement. Rubin has gone on to produce records for an incredibly diverse range of musical artists. He has produced albums for the Beastie Boys, LL Cool J, Public Enemy, Run–D.M.C., Tom Petty and the Heartbreakers, Black Sabbath, Slipknot, Slayer, Red Hot Chili Peppers, Jay-Z, Danzig, the Dixie Chicks, Metallica, AC/DC, Aerosmith, Weezer, Linkin Park, The Cult, Neil Diamond, Mick Jagger, System of a Down, Rage Against the Machine, Audioslave, Sheryl Crow, ZZ Top, Adele, Lana Del Rey, Lady Gaga, Kanye West, and Eminem. Rick Rubin has also appeared as himself in a number of films and documentaries including "Dixie Chicks: Shut up and Sing" and Dave Grohl's "Sound City". 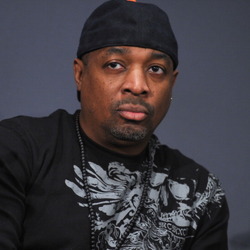 In 2007 he was named to Time's 100 Most Influential People of the Year and also called "the most important producer of the last 20 years" by MTV. Rubin was involved in the professional wrestling business and supported Smoky Mountain Wrestling financially from 1991 to 1995. Rubin has won Grammy Awards for Best Country Album for Unchained, Record of the Year for "Not Ready to Make Nice", Best Country Album and Album of the Year for Taking the Long Way, Best Rock Album for Stadium Arcadium, Producer of the Year, Non-Classical, and Album of the Year for 21.